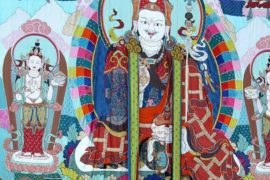 Rinpung Dzong was built in 1646 by Shabdrung Ngawang Namgyal, the first spiritual and temporal ruler of Bhutan, the Dzong houses the monastic body of Paro, the office of the Dzongda (district administrative head) and Thrimpon (judge) of Paro district. 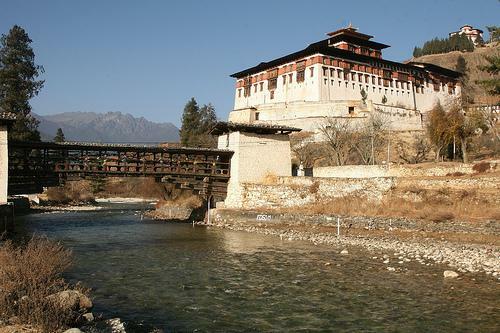 The approach to Dzong is through a traditional covered bridge called Nemi Zam. A walk through the bridge, over a stone inlaid path, offers a good view of the architectural wonder of the Dzong as well as life around it. It is also the venue of Paro Tshechu, held once a year in the spring. Rinpung Dzong is a large dzong – Buddhist monastery and fortress – of the Drukpa Lineage of the Kagyu school in Paro District, Bhutan. It houses the district Monastic Body and government administrative offices of Paro Dzongkhag. 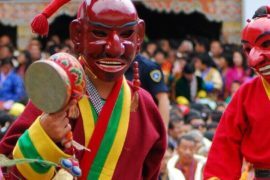 It is listed as a tentative site in Bhutan’s Tentative List for UNESCO inclusion.